(CA4) Pecan Caramel- Our rich and buttery Caramel Popcorn combined with caramel coated pecans. A delightful southern treat. 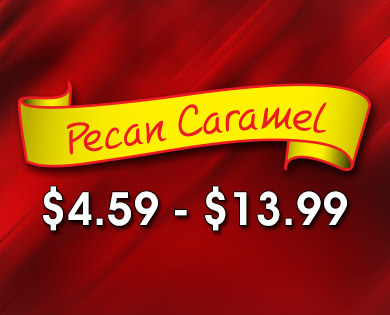 > (CA4) Pecan Caramel- Our rich and buttery Caramel Popcorn combined with caramel coated pecans. A delightful southern treat. Our rich and buttery Caramel Popcorn combined with caramel coated pecans. A delightful southern treat.